Not too long ago, Atomic Power Review was a media partner for an Infocast symposium in Washington D.C. on commercializing Small Modular Reactor (SMR) plants. At that time, Jud Simmons of B&W asked if I would like to interview Matt Miles about the B&W effort in this field, which (jointly with Bechtel) is marketed by Generation mPower. I said "yes," but since I was not attending the event directly worked out the details to conduct an interview with Mr. Miles via e-mail. Below, my interview questions for Matt Miles of B&W and his responses. How long ago did Babcock & Wilcox make the decision to re-enter the market as a reactor vendor with an SMR design? B&W started working on this about four years ago, and the program publicly launched in June 2009. What if any design heritage from previous B&W reactor plant projects is incorporated in the Generation mPower? The B&W mPower™ reactor is a 180 MWe integral Pressurized Water Reactor (iPWR) that finds its beginnings with the prototype we built in 1968 for the Otto Haan merchant vessel. The reactor remained operational until 1979. Over the operating life of the reactor, the ship sailed approximately 250,000 nautical miles. It successfully demonstrated that surface ship propulsion using nuclear power was a viable option. What does B&W see as the potential US market for the mPower reactor in terms of a realistic number of units sold within 20 years? Our market projections for number of units we expect to deploy going forward is not something we share with the public. That said, we believe there is a solid market for our SMR both domestically and abroad. One way to assess the interest in our SMR is to consider the makeup of our Industry Advisory Council, which now has almost 30 member utilities in the US, Canada and Europe. This group provides expert review, insights and feedback regarding licensing and design activities for the B&W mPower reactor. The input that has been received from the member utilities has been instrumental in guiding the B&W mPower reactor design and testing work that has already been completed. And in a similar fashion, what might the export market in the same time period be? Does B&W expect a larger number of sales of the mPower as a fairly large multi-reactor power plant, or is it expected that either single or double reactor units might be more likely in remote "off grid" locations or military application as the major seller? In talking to potential customers, we think the most likely scenario is that a customer will initially deploy what we call a “twin-pack,” which is two reactor modules producing a total of 360MWe. At a later time, as their power generation needs increased, they would be able to scale up their capacity and add additional units. There seem to be a number of features of the mPower-based plant that would make a multiple-reactor mPower installation directly competitive with large single-reactor commercial nuclear power plants such as the Westinghouse AP1000, the Korean APR1400 and the Mitsubishi US-APWR as examples - not the least of which is a much shorter lead time. 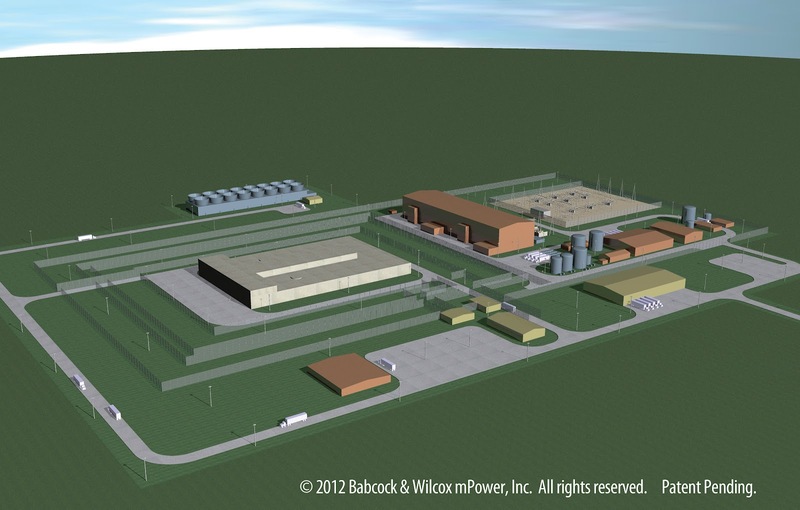 Does Babcock & Wilcox intend to directly compete in the large commercial plant market with multiple-reactor mPower installations, or is the target for smaller and more variable system load scenarios? We believe that customers who need gigawatt-scale generation capacity will likely pursue that option if they can handle the financing that is required for such a project. While several B&W mPower reactors could produce that load, we believe our solution will appeal to customers who need less power generation early on, but who may want to scale up as time goes on. Speaking of system load, what are the load following characteristics of the mPower as it is envisioned now? Will the mPower be a good load follower for totally off-grid operation? Traditionally nuclear power plants have been used for base-load generation. Our plants are designed for more segmented or off-grid applications and are capable of load following to accommodate this type of deployment. Is B&W open to designing mPower plants which supply not only electricity but process steam for industrial use or for heat? Yes. We don’t see that need as much in the U.S., but abroad there is definitely interest in process steam for heat as well as desalinization. Recently, at the ANS Annual Meeting, a speaker from the Shaw Group indicated a great future potential for SMR plants around the world - and it seems that everyone who can design an SMR is now either in the field or designing like crazy to get into it. Is the mPower in a position to be the first to fill orders? How long will it be before one can expect a unit to be built if it were ordered right now? We are positioning ourselves to be the first to deploy an SMR, and we expect to do so by 2022 at our Clinch River launch project. There are many variables that would influence the exact timeline if an order were placed today, including major licensing, manufacturing and construction considerations. Finally, maybe you could briefly tell us about the range of people you have working on this project; what is the range of their backgrounds, their experiences? What about their enthusiasm for the project? We have hundreds of people working on this project. As you would expect, many of them are engineers and designers. We have technicians who are conducting tests at our Integrated System Test facility in Virginia and engineers who are developing the technologies necessary to make the fuel for B&W mPower reactors. I would say their level of enthusiasm is high because they recognize that they are on the ground floor of a revolution in the nuclear industry, and they are working on it in a very tangible way every day. 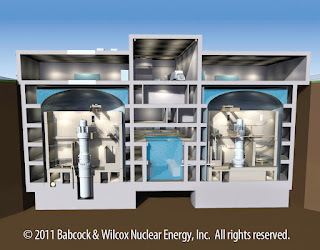 Above is a great illustration from Babcock & Wilcox showing a completed Generation mPower nuclear power plant. 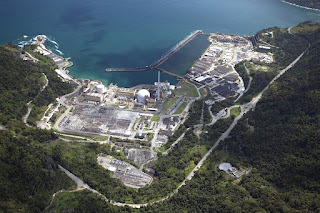 The large structure in the left-center is the Reactor Service Building; two mPower reactors are situated completely below ground level (see first illustration this page) abreast each other at the near end. The taller reddish building houses the turbine generators; the switchyard is beyond it. At the top of the illustration, cooling towers can be seen. For technical information, click here and for more detailed information, click here. This photo opens very large when clicked, and I've found that it makes good laptop wallpaper! Matt Miles is the Director of International Business Development of Generation mPower LLC, a joint company formed by The Babcock & Wilcox Company (B&W) and Bechtel Corporation to design, license and build the next generation of nuclear power plants based on B&W mPower small modular reactor technology. Before joining Generation mPower in 2012, Mr. Miles was Senior Market Manager of Global Nuclear Markets for the Edgen Murray Corporation. In that role, he was responsible for the development and ASME accreditation of the Nuclear Supply division, and its overall globalization strategy. Mr. Miles also led the Nuclear Quality Assurance Audit program as lead auditor. Prior to that position, Mr. Miles was the Business Development Manager for fossil power and refining markets in the Mid-Atlantic & Southeastern U.S. regions for the company. Mr. Miles began his career in the energy sector in production operations as a Lead Field Operator in the offshore oil fields in the Gulf of Mexico. Matt has served on the Nuclear Energy Institute's Supplier Standing Committee, and has participated as a panelist for the Electric Power Research Institute's Joint Utility Task Group. He is also an active member of the American Nuclear Society. Mr. Miles holds a Bachelor of Science degree in International Trade and Finance from Louisiana State University. I very much appreciate the opportunity to ask Mr. Miles these questions - even if not in person - and I hope that the information and illustrations here, along with the links, will help APR's readers obtain a full view of the real scope and intent of the Generation mPower program. It's my belief that SMR plants are on the way without doubt - it's only a matter of who gets to the ribbon first. It looks like the mPower has a good chance of beating the crowd. Thanks to Jud Simmons of Babcock &Wilcox for making this all possible, and also thanks to Aimee Mills of B&W for providing the mPower illustrations. As many of us are already aware, nuclear power plants have been safely withstanding the worst weather that happens in the US (tornadoes, hurricanes, derechoes) for many years. Now, NEI has put all of its information about the latest threat in the news - hurricanes - on one page. This is good to see now, considering the impact of Hurricane Isaac on the Gulf Coast, but better to remember for the future. No small amount of importance is given to the safe track record already established in hurricanes in NEI's compilation of information and links. Click here to see the new NEI Hurricane Information page. Below is a press release from Southern California Edison direct to APR thanks to Scott L. Andresen of SCE. ROSEMEAD, Calif., Aug. 28, 2012 – Southern California Edison (SCE) plans to defuel Unit 3 at the San Onofre Nuclear Generating Station and put the unit in a longer term outage mode. Plans to defuel Unit 3 were announced in SCE’s quarterly financial disclosure on July 31. Both San Onofre units are currently safely shut down for inspections, analysis and testing after unexpected tube wear was found in the steam generators. Because the steam generator tube wear is more significant in Unit 3 than in Unit 2, SCE does not foresee Unit 3 coming back online in the near future. SCE is focusing on finalizing a response to the Nuclear Regulatory Commission’s Confirmatory Action Letter that will describe the company’s plan for returning Unit 2 to safe operation. Unit 3 is being defueled, which is a normal state during an extended outage. This action will maintain a safe plant and fuel configuration while testing and analysis of Unit 3 continues. Defueling refers to the carefully executed transfer of fuel from the reactor into the spent fuel pool in a strong, reinforced building where it is secure and constantly monitored. Unit 2 was taken out of service Jan. 9 for a planned outage. Unit 3 was safely taken offline Jan. 31 after station operators detected a leak in a steam generator tube. SCE will not restart either unit until the utility and the nuclear commission are satisfied that it is safe to do so. In an earlier e-mail conversation, Jennifer Manfre of SCE noted that the defueling of Unit 3 at San Onofre had essentially been previously revealed as part of the company's 10-Q announcement on the last day of January. Thus, the press release above is a new release from SCE but the decision to defuel Unit 3 essentially is not new. Below is a press release from Westinghouse. BRUSSELS, August 27, 2012 -- Westinghouse Electric Company today announces that it has received a contract from the Kozloduy NPP – New Build PLC of Bulgaria to perform a feasibility study on a potential seventh unit at the Kozloduy Nuclear Power Plant. 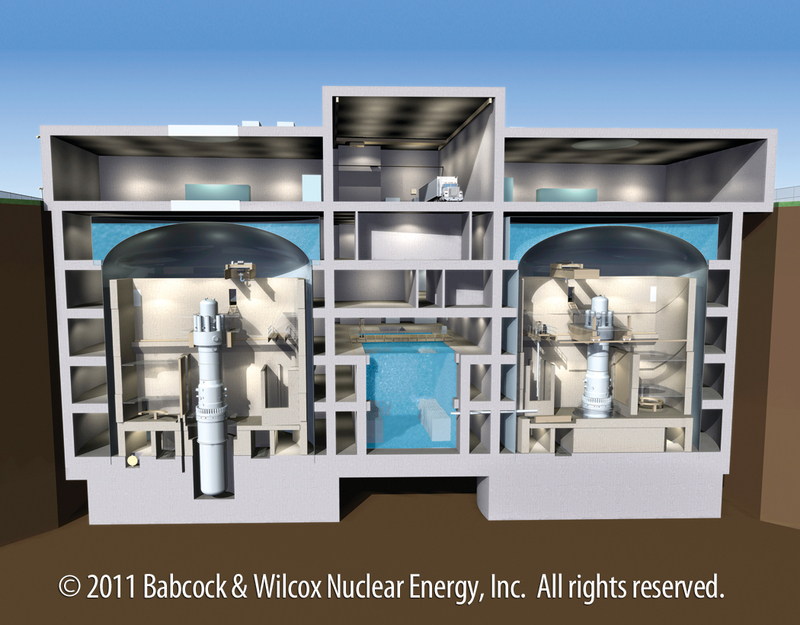 The required study will encompass a review of two potential designs: a reactor of VVER design utilizing equipment already purchased by the customer together with Westinghouse instrumentation and control (I&C) systems, fuel and a Toshiba Corporation turbine generator, and the construction and operation of a pressurized water reactor (PWR) 1000-1200 MW design. Westinghouse will perform this study with Kozloduy NPP – New Build PLC calling upon its experience at Kozloduy and other VVER units. The scope of the feasibility study includes an evaluation of the site, radioactive waste and spent fuel management, reuse of existing infrastructures and facilities, licensing, local economic aspects, and the profitability of the two reactor designs. The Kozloduy Nuclear Power Plant has an excellent operational and safety record, which provides a strong basis to host an additional reactor at the site. Westinghouse Electric Company, a group company of Toshiba Corporation (TKY:6502), is the world's pioneering nuclear energy company and is a leading supplier of nuclear plant products and technologies to utilities throughout the world. Westinghouse supplied the world's first pressurized water reactor in 1957 in Shippingport, Pa., USA. Today, Westinghouse technology is the basis for approximately one-half of the world's operating nuclear plants, including more than 50 percent of those in Europe. The Kozloduy site in Bulgaria does indeed have six nuclear power plants on site now, but Units 1 through 4 are VVER-440 units which are permanently shut down and in the process of decommissioning. Units 5 and 6 are VVER-1000 type and are operational. This seventh unit would combine equipment already fabricated for another site (which has been cancelled) and new equipment from Westinghouse and Toshiba to essentially comprise what Westinghouse has referred to above as a "hybrid" plant. The I&C equipment at the VVER-1000 plants at Kozloduy wsa provided by Westinghouse. Below is a press release just received (12:45 AM Eastern) from SCE courtesy Jennifer Manfre. This has just come in at 7:14 PM Eastern, in response to the second NOUE issued for San Onofre Nuclear Generating Station. This is a press release direct from SCE courtesy Jennifer Manfre. For updates, please visit www.SONGScommunity.com, or follow us on Twitter at SCE_SONGS and on www.facebook/sce. UPDATE 7:34 PM Eastern: Jennifer Manfre of SCE informs APR directly that San Onofre was in the process of clearing the first Notification of Unusual Event when the second earthquake was felt in the control room, moving the plant directly into a second NOUE. This means that there is only a single clearance of NOUE notification to expect. Press release direct from SCE - thanks to Jennifer Manfre. ROSEMEAD, Calif. Aug, 26, 2012 – SAN ONOFRE, Calif., Aug. 26, 2012 – In compliance with regulations, San Onofre Nuclear Generating Station (SONGS) declared a Notice of Unusual Event at 12:39 p.m. after an earthquake was detected by the station’s monitoring system. The station subsequently received reports of earthquakes near the Mexico border. For updates, please visitwww.SONGScommunity.com, or follow us on Twitter at SCE_SONGS and on www.facebook/socaledison. Roughly half an hour ago, SCE (Southern California Edison) reported by Twitter that operators at the shut down San Onofre Nuclear Generating Station ("SONGS") felt an earthquake in the control room. At that time, SCE made a Notification of Unusual Event, per procedure, to local authorities and the State of California. Both SONGS units remain safely shut down according to SCE's reports on Twitter. The two reactors have been shut down for some time while dealing with steam generator tube problems - a fact well documented on this website. If there is any change in the plant's status, or significant updates, they will appear here. For now, follow the APR Twitter feed - @atomicnews - for news. At 5:00 PM Eastern, SCE tweeted: "No issues or concerns." At 2:03 PM Local Time, SCE issued another Notification of Unusual Event after feeling a second earthquake at SONGS. No plant systems harmed, no risk to public safety, according to SCE. SCE will advise when Notifications are cleared. The 119th Carnival of Nuclear Bloggers is up at Yes Vermont Yankee right now! Click here to access Carnival 119. Meredith Angwin always does a bang-up job in laying out her Carnival hosting, and this one is no different. This Carnival has something for everyone - and there's a definite focus on communications. Well worth a leisurely Sunday read! 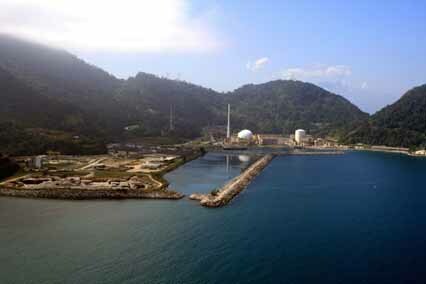 On this coming Tuesday, August 28, 2012, a celebration will be held to commemorate three decades of safe operation of the Angra-1 reactor plant at Brazil's Admiral Álvaro Alberto Nuclear Power Station. The ceremony will be attended by Brazil's President Othon Luiz Pinheiro da Silva as well as many other dignitaries and the top management of Eletrobras Eletronuclear, the plant's operator. Above, the Admiral Alvaro Alberto Nuclear Power Station. The cylindrical reactor containment building to our left belongs to Angra-1; the semi-spherical reactor containment building to our right belongs to Angra-2. The nuclear station where Angra-1 is located, abbreviated by Eletrobras as CNAAA, has two operating plants; Angra-1, which is a 'turn key' Westinghouse PWR plant rated 1882 MWt / 609 MWe net, and Angra-2, a Siemens/KWU PWR rated 3771 MWt / 1280 MWe net. This second plant was not a turn key project like Angra-1, but rather a joint effort between the German firms and Brazil. 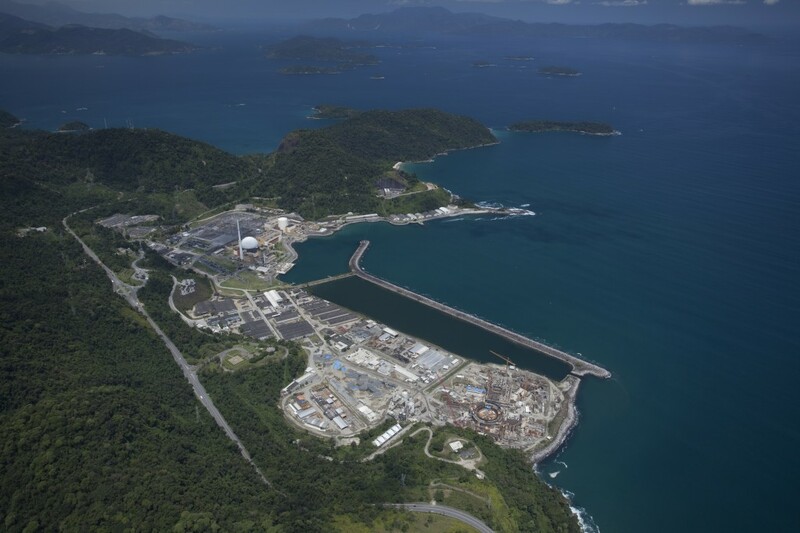 The future of Angra-3, which has been announced as a twin of Angra-2, is, at the moment fairly dim; construction of the plant has not progressed very far. Below is a video - in English - from Eletrobras Eletronuclear on its program. Especially impressive is the presentation of how the program affects the region and the nation in positive ways. This video impressed me very much, and I'd suggest anyone interested in the discussion of how to spread positive messages about nuclear energy pay close attention to it all the way through. Below, two more illustrations of the CNAAA. The above illustration shows the location of the Angra-3 plant under construction at the CNAAA. At present, construction is suspended. This aerial shot shows the layout of the entire station, with an especially good perspective on the location of the unfinished Angra-3 plant. Brazil is rightly proud to herald 30 years worth of power generation from nuclear energy. While Brazil's nuclear program has been seriously curtailed in the last two years, with suspension of Angra-3 and cancellation of further plans, the CNAAA continues to provide reliable non-GHG electric power for the state of Rio de Janeiro and provides numerous cultural and educational benefits whose positive impact is difficult to quantify but easy to see. We all can name some top pro-nuclear spokespeople we know - whether they're known for standing in front of crowds, or TV cameras, or whether they're known more for their pro-nuclear advocacy on a more personal and direct level. Here is one of our best public spokespeople - Simona De Silvestro. She drives the HVM Racing #78 car, a Lotus powered machine sponsored by Entergy Nuclear and labeled as the Nuclear Clean Air Energy car. If you would like to see her advocacy in action, then click here to be taken to the APR YouTube Channel where her video is now featured. Simona is racing tomorrow, August 26 at the Go Pro Indy GP of Sonoma. It will be televised beginning at 4:30 PM ET on the NBC Sports Networks. In some places, that might make it to broadcast TV over the air while in others you might need cable or satellite. Check your local listings. Tune in if you can and see how she does. The team has been having trouble this season with engine output, but is competitive on some tracks. Let's hope the GP format is what they need to move to the front this week! Following is a press release direct from SCE, courtesy Jennifer Manfre. ROSEMEAD, Calif. (Aug. 20, 2012)—As one of the nation’s largest electric utilities, Southern California Edison (SCE) and the management of its San Onofre Nuclear Generating Station (SONGS) are committed to top performance and providing safe, efficient and affordable energy to nearly 4.9 million customer accounts. As a result of exhaustive benchmarking and analysis of industry best practices, SCE has concluded that SONGS’ staffing and costs are significantly higher than other similar dual unit, non-fleet nuclear power plants. Indicators also show there are opportunities to reduce operating and maintenance costs by improving plant processes while fully maintaining all safety commitments. As a result, SCE announced today its intent to downsize the SONGS’ organization to 1,500 – a reduction of approximately 730 employees – beginning fourth quarter of 2012. Deliberate steps will be taken over the next year to ensure SONGS is prepared to operate safely and in alignment with SCE’s future operating budgets. Over the next two months, SONGS’ employee workloads will be quantified and peer comparisons made to better understand what specific changes are necessary to transition to top performer status. A decision regarding the new organizational structure is anticipated in late October. Make sure you see Part 1 and Part 2 of this story! When Jim V. arrived in California, he didn't have much there to back him up - but he did have what appeared to be a fairly solid organization with some history backing him up remotely from the East. Sylcor, formed in 1957 (as related in Part 1) had made something of a name for itself both by being early and by gaining a reputation for specialization in what, at the time, were called "MTR type" fuel elements - that is to say, plate type fuel elements fabricated of aluminum. 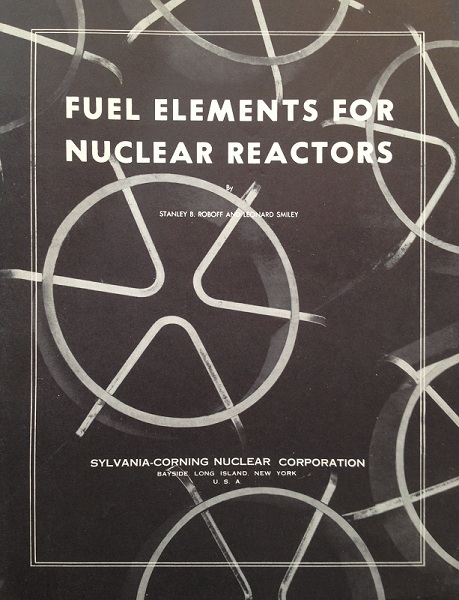 Sylcor provided MTR type elements for a number of early reactors, and advertised this fact fairly heavily in the late 50's. "Prior to the termination of World War II, work was initiated at Oak Ridge National Laboratory to develop and produce a cheap, reliable, thin-plate fuel component for service in a high neutron flux reactor. This effort culminated in the successful startup, and sustained operation thereafter, of the Materials Testing Reactor at the designed 30-megawatt power level on March 31, 1952. This date was a milestone in reactor development for it not only clearly demonstrated the feasibility of constructing a high-flux research reactor, but also proved that the basic principles employed in the design and manufacture of aluminum plate-type fuel elements were sound. The fuel elements are made of an assembly of plates.. Each curved plate contains fuel in the form of an enriched uranium-aluminum alloy which is clad on all sides with aluminum. These composite plates are spaced apart to allow water to flow freely between them, the water serving as both coolant and moderator. Besides the Materials Testing Reactor at the National Reactor Testing Station near Idaho Falls, Idaho, there are many other research reactors operating in the United States which employ aluminum plate-type fuel elements. These include the Low Intensity Training Reactor, Bulk Shielding Reactor and the Oak Ridge Research Reactor in Oak Ridge, the CP-5 reactor at Argonne National Laboratory, the research reactors at Pennsylvania State University and the University of Michigan, the medical research reactor at Brookhaven National Laboratory, and a number of others located at various industrial and governmental research centres." A Sylcor memorandum or handout, surely meant to be given to prospective customers, indicates some of the sales that Sylcor had achieved as of about mid-1959; 12 test reactors are listed, and mentioned additionally as 'under fabrication' are fuel elements for five others. Using this list and some Sylcor brochure illustrations, let's examine a few. 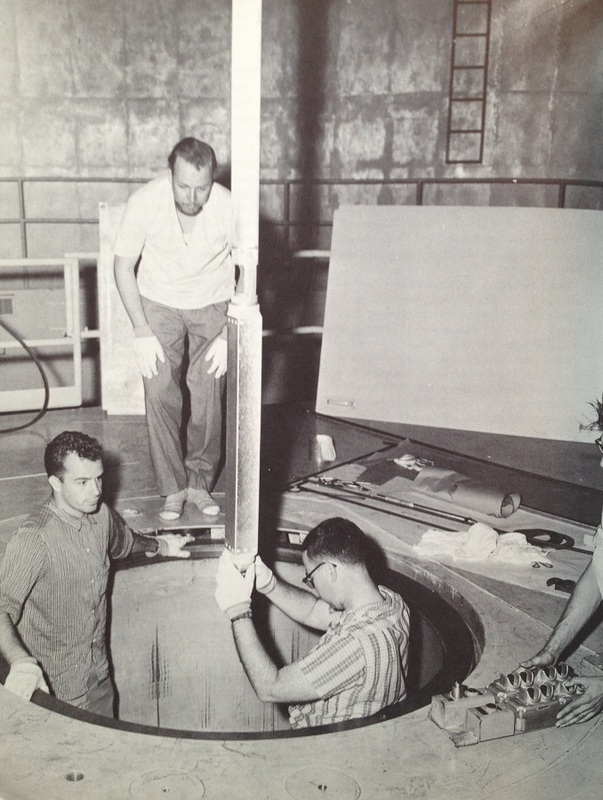 From the handout: "This reactor, a heavy water CP-5 type and designed for 5 MW went into operation July 1958. 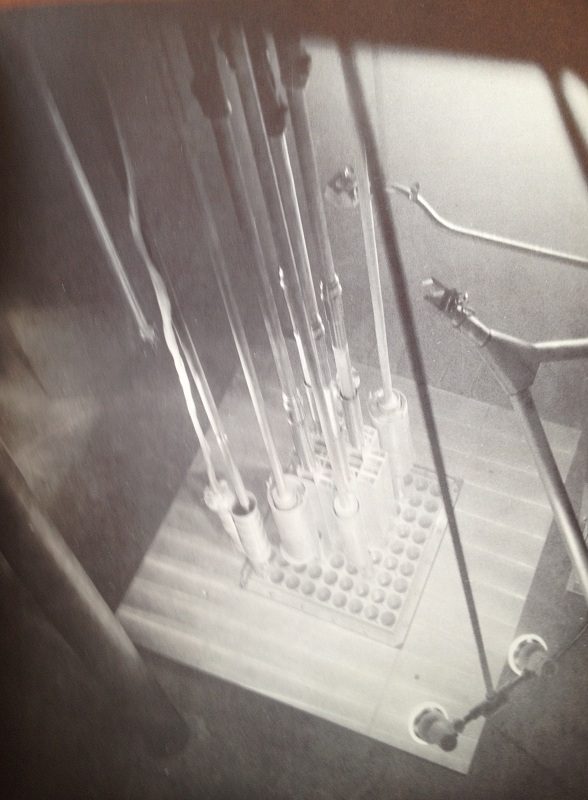 Sylcor produced 42 fuel elements of the MTR type (adaptors at both ends) for this reactor. Thirty were brazed and 12 were mechanically assembled. Both type assemblies are currently in use. This element is essentially the type employed in the Italian Ispra Reactor." Sylcor supplied 44 swimming pool type fuel elements for this reactor, the standard element containing 10 fuel plates. The reactor went into operation in November 1957 with Sylcor elements and has been in satisfactory operation since, operating on the order of 10-15 watts. Others listed are the Brookhaven BNL 20 MW Air-Cooled / Graphite Moderated Reactor (more about that shortly), the Curtiss-Wright Research Reactor, the Brookhaven Neutron Exponential Research Reactor, the Brookhaven Medical Research Reactor, the IRL or Industrial Reactor Laboratory Reactor, the McMasters University Reactor, two French Research reactors, the AMF-GNE Educator Reactor at the University of Florida and a refuel set for Penn State's reactor. 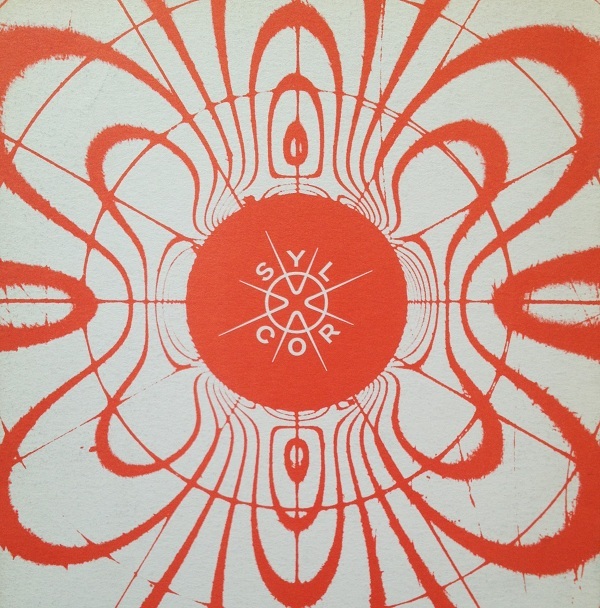 Below, a half page width graphic from the brochure "Nuclear Fuels: Key to Reactor Performance." Caption content below. Top to bottom: End views of the pool type (or MTR type) fuel and control elements used in the Chalk River Pool Test Reactor. Next, Chalk River pool-type fuel elements with end assembly in place. Next, MTR type flat plate element used in the Engineering Test Reactor at Arco, Idaho. 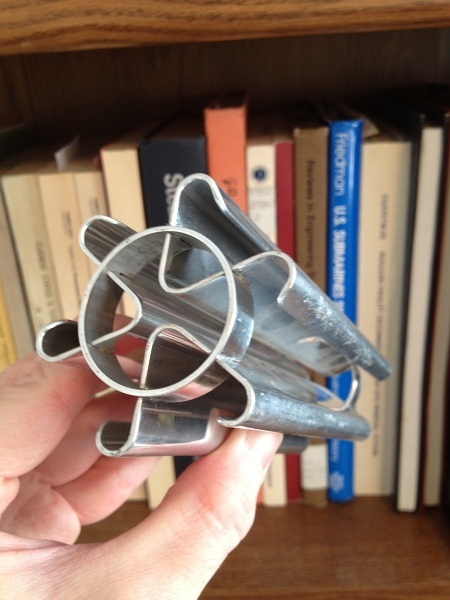 Bottom, End view of the Engineering Test Reactor element showing plate assembly. I said I'd come back to the Brookhaven fuel elements. 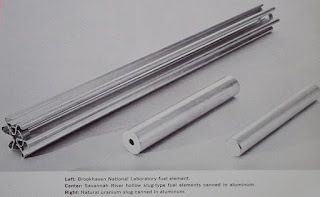 These elements, custom designed for the Brookhaven Research Reactor, received fairly wide press in publications of the day because of the benefits they showed to the operation of the reactor. Briefly, this reactor was a graphite moderated test reactor which used canned natural uranium slugs inserted into a finned tubular fuel cartridge fabricated of aluminum. Sylcor's improved fuel element design used 93% enriched uranium in highly modified plate type fuel elements. These are hard to describe without illustrations, so let's look at a few. As is read in the caption, the Brookhaven element is on the top left. Each element consists of three enriched uranium fuel plates, with multiple bends applied and fabricated into a single fuel element by attaching three such plates together in a circular fashion using aluminum end rings. The plates themselves are two feet long. "The fuel elements are a plate type, each plate containing about 5g of U-235 in an aluminum matrix clad with aluminum. The plates, approximately 2-1/4 inch wide, 24 inches long and 0.060 inches thick, are bent along the central axis of the long dimensioin on approximately a 1/8 inch radius to a 60 degree angle. Both long edges of the plate are also bent on the same radius. Three plates are welded to a thin ring at each end to form the 2-ft. long element shown in fig 6-7 (not reproduced here at APR.) Eight elements will be used in each fuel channel of the reactor." This may still be a bit difficult to picture - so I'll show you one. The photo above was taken today -- 8/20/2012 -- and shows an original Sylcor sample or "dummy" fuel element of the Brookhaven type in my hand. This was included in the many boxes of Jim V's materials. The construction of this type of element should now be all too clear - what Sylcor has done is to make the fairly conventional and common aluminum fuel plate work in an air-cooled reactor by making certain the elements have a great deal of air clearance. This had a number of advantages -- the power of the reactor, and thus waste heat to be removed dropped from 28 MW to 20 MW while multiplying the neutron flux over four times the original value. This lowered the required volume of cooling air, which was prodigious. This achievement, as mentioned, got Sylcor quite a bit of press - although just how Sylcor would further capitalize on this innovation for a particular reactor would have been hard to say even then, since there were few reactors of this type available for Sylcor to refuel. Now, for the real nuclear archaeologists; there were actually TWO variants of this now-obscure kind of fuel element. The original type, probably prototypical and probably only used briefly at Brookhaven (if at all) had no curved outer extensions on the fuel plates. Only two illustrations of this rare variant can be found in all the books and papers here - both in the same early Sylcor brochure. Below, the cover of the brochure showing a number of this early variant of the Brookhaven element. 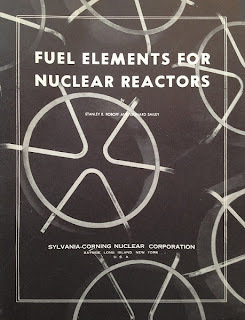 Getting back to the story of Sylcor's business ... As we've now seen, Sylcor made a serious impact in one aspect of the early nuclear fuel business, namely aluminum plate type fuels. It appeared at that time as if this kind of fuel would continue to be highly important, both in research / test reactors and possibly in power reactors as well. To be sure, Sylcor also bid on and received contracts for other types of fuel elements (the contract for PRDC to fuel the sodium-cooled, fast breeder Enrico Fermi Atomic Power Plant was a major coup) but the advertising material is more than clear on the fact that aluminum plate type elements were what Sylcor was pushing hardest - a fact that Jim's personal papers will back up later on. In the next installment, we'll see how Sylcor launched two innovative programs for the time, one of which was based on this technology, with which Jim and his other regional counterparts could court potential customers. It's been a while since we looked at Jim V's adventure in nuclear energy with Sylcor; I'd suggest you follow this link to Part 1 of this story for a refresher. "I am pleased to announce the appointment of Mr. James Vadeboncoeur as Manager of Marketing, West Coast region. Mr. Vadeboncoeur joined Sylcor on January 6, and will spend approximately one month with us in the New York area. Subsequently, he will set up permanent West Coast headquarters in the San Francisco area, the exact location of which will be announced within the next few weeks. While in New York, Mr. Vadeboncoeur will be spending as much time at our plant and engineering facilities, familiarizing himself with as many aspects of our production and engineering programs as he possibly can in this time. Mr. Vadeboncoeur, for the past five years, has been with the Atomic Energy Department of Westinghouse Electric Corporation in Pittsburgh, where he has been closely associated with the Nuclear Fuels Program at Bettis Field. Within the last few years, Jim has been engaged in intercompany relations activities involving the Westinghouse Atomic Power Department and other companies with which Westinghouse does business in the nuclear field. Jim Vadeboncoeur brings with him a wealth of experience in the nuclear fuel field, and will undoubtedly make a major contribution to our marketing program on the West Coast. I hope that you all will have the opportunity of meeting Jim during his stay in New York in January and early February, and will afford to him our fullest cooperation and warm welcome on his joining Sylcor." It would appear as if this new Western Region office was not the only new office set up at that time; a corporate organizational chart handout dated 1/1/58 indicates that three marketing regions existed; a Northern Region, an Eastern Region and the Western Region. 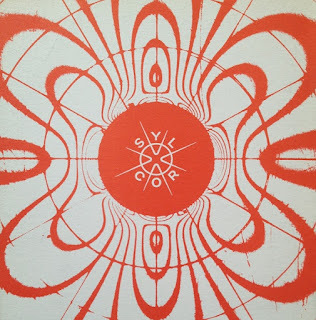 It appears as if Sylcor decided upon a major expansion of its marketing at the beginning of 1958 in order to take full advantage of the opportunities that the rapidly expanding field of nuclear energy offered, and Jim, along with his new territory, was only part of that. "As part of our expanding marketing operations, Sylcor is establishing in San Francisco a Western Regional Office. To facilitate our establishing this office, Bart Wickstrum has kindly offered the use of some space, facilities, and certain personnel, at the Sylvania facility at Burlingame. In return, we would desire to pay to Sylvania Electric Products Inc. a fair rental. At the moment, our needs encompass a desk and a chair, a filing cabinet, a bookcase, two or three guest chairs, and a telephone. We would also like, if possible, a share of the services of a secretary, and to have available for use the other standard office facilities which you may wish to make available. We, of course, would expect to base our rental agreement with you on our paying a prorated share of the cost of the space that we use, a part of the secretary's salary, and a reasonable part of the office overhead. Concerning our telephone, we should like to make arrangements for a separate listing in the name of the Sylvania-Corning Nuclear Corporation. Jim Vadeboncoeur, our Manager of Marketing for the West Coast Region and who will be located at Burlingame, is planning to move permanently to the San Francisco area about the middle of February. Because of this timing, I would hope we could have all arrangements made before this time. Please let me know what arrangements can be made and whether or not our timing is satisfactory. I should also like to suggest that you contact Garth Edwards, our Controller, concerning the contractual and financial arrangements for the use of this space." Thus, Jim would have only the most meager resources available to him in a small section of an office facility already established; one desk, a phone, and as much time from one of the secretaries at the office as could be spared by Sylvania Electric. Of course, one thing we don't see in the papers at this time is the fact that one of the secretaries would have to be given the proper clearances to work with this information, which no doubt put a strain on the operation. Jim didn't have a lot to work with starting out - and it never got much better than this. At the same time, Roboff also sent a letter to Robert Harper, of Sylvania Electric, mentioning the above memo and noting that he and Jim V. would be out in California within two or three weeks. Three days later, Harper responded by saying in part "I am sure we will have no problem in making available to you whatever facilities you will require." Texas, New Mexico, Colorado, Wyoming, Montana, Idaho, Utah, Arizona, Nevada, Washington, Oregon, California, Western Canada. This was, all things considered, not a very large chunk of the total nuclear fuels business available at that time, and while any number of continued accounts was good, it begins to become a little clearer in the materials in Jim's papers just why Sylcor had decided to assume a more aggressive marketing policy. Jim would have some early successes, but not many- and as we will see, the nuclear fuel business quickly began to turn cutthroat. And, for Jim, quite challenging. Your author's latest piece of work, concerning the detection of flaws in the pressure vessel at Belgium's Doel-3 nuclear plant during ultrasonic testing while in ten-year outage, is available at the ANS Nuclear Cafe. Click here to see the article at ANS Nuclear Cafe. I am now working for ANS, producing content for their site; as a result, the nature of posting on APR will change slightly. However, this site is going nowhere - and further, when I produce content for ANS or anyone else, you'll see a link here to get to the location. The Nuclear Regulatory Commission voted (in a unanimous vote) to halt relicensing of existing nuclear power plants in the US, and to halt licensing for those being planned, until resolution is found over its concept of waste storage. Background: In June, the DC District Court of Appeals threw out portions of NRC ruling that covered assumptions about HLW storage. See a thorough APR article on this from that time, including NEI's response to the Court decision by clicking here. The action of throwing out the Waste Confidence rule led to further industry supposition that the Yucca Mountain issue would be forced, go or no-go, and led to revival of plans to establish large but distributed areas around the country for storage of HLW. See a post on one such plan by clicking here. In the interim time period, petitioners (mostly environmentalist and anti-nuclear groups, it would appear) have interjected that NRC cannot make licensing decisions if there is no framework for expectation of future spent fuel storage. This forms the basis of the objections over which the NRC today voted to suspend licensing / relicensing until the Court's throwing out of the Waste Confidence rule is fully addressed. Click here to see the official NRC statement on the subject, with very complete reference material quotes. Click here for a summary and discussion by Platts. The NRC release indicates that utmost attention will be given to this topic; further, all licensing work is to continue normally while this process takes place. What is held up is final issuance of licenses, essentially, not the pipeline of preparatory work. It's clear to this writer that while the NRC wishes to fully address the complaints of groups over licensing with no real, permanent HLW storage policy and also wishes to address the District Court of Appeals' concerns it also does not want to create a log jam of licensing / relicensing when the fixes are made. I will have more on this site as required - and remember to watch APR's Twitter feed at @atomicnews. EDIT: Clarified text to improve clarity that what is being held up by the NRC is the issuance of licenses. The NRC has made a post on its blog which expands upon this situation, which is essentially as we've described here. Click here to see the new NRC post. The NRC has informed Dan Yurman at Idaho Samizdat that the licenses for Vogtle 3 and 4 and the new plants at V.C. Summer are UNAFFECTED by this action. The Nuclear Energy Institute (NEI) has issued a statement on this subject as well; you can click here to read it. An earlier story today (8/9) on the New York Times' website - which APR did not link to - has been corrected due to a misstatement about the effect that the NRC's action would have on Vogtle and Summer. Click here to see the NY Times piece with the correction. Thanks to John Keeley at NEI for pointing this out. New interviews given by representatives of Chubu Electric Power Company and Japanese regulatory bodies now indicate that the previously announced seawater leakage into Hamaoka No. 5 and the resulting damage may be far worse than had previously been released or assumed. During the May 14th shutdown of No. 5 plant, which is an ABWR type boiling water reactor rated 3926 MWt / 1325 MWe, there was a rupture of tubes in the plant's main condenser, which uses seawater on the secondary side. Chubu detected the seawater's ingress when conductivity measurements began to rise in the condenser and in the reactor. Following achievement of cold shutdown, Chubu entered the main condenser and discovered damaged tubes. Of course, Chubu had notified NISA immediately upon detection of the problem, and NISA has been involved ever since. Chubu's investigation indicates that something over 400 cubic meters of seawater were added to the reactor system water inventory. A recent Reuters report is quoted as indicating about 5000 liters of seawater may have entered the reactor. Detailed inspection by Chubu shows seawater contamination, and either detected or probable damage, to the following components: Reactor recirculation pumps, control rod drive mechanisms, turbine driven feed pumps, condensate pumps, RHR pumps, RCIC pumps, HPIC system pumps, all intermediate stage feedwater heaters / reheaters, gland exhaust condensers, condensate filters and demineralizers. (This list is not all inclusive.) Seawater has also caused damage in much of the control rod drive system. It is extremely likely given all of the information above that seawater has caused some degradation in the reactor core - whether the effect is as simple as salt blockage, or worse, such as salt plating out on surfaces, or even worse, such as corrosion. Chubu's recent press releases do not speculate at all on this scenario. Recently, some water tankage has begun to leak, leading to new public attention to the problem since concurrent with this discovery Cobalt-60 has been found in leaked water in the turbine building. The overall corrosion / damage condition of the plant is not fully known at this time; Chubu continues to inspect the plant as this is written. When details are available, they'll be printed here. Click here for a fresh Reuters report on the subject.